Hot Toys’ Facebook Page has updated with the first look at TTM-18 with narrow shoulders, their newest TrueType 1/6 Scale Figure Base. The new base figure has over 38 points of articulation. 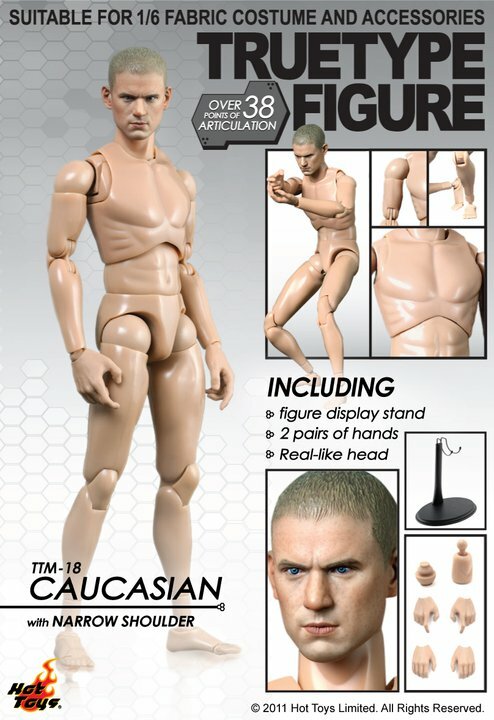 It comes with a display stand, two pair of hands and a realistic head (looking like Wentworth Miller from Prison Break). Click the thumbnail for the full sized image.